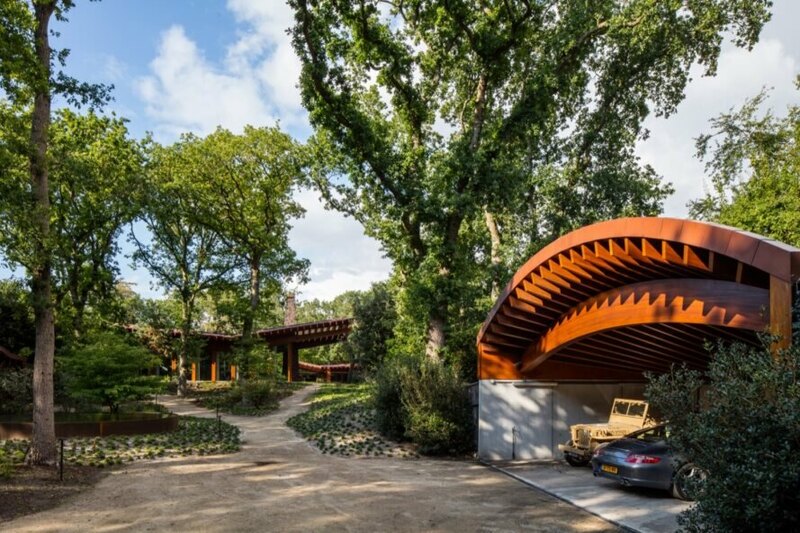 Dutch design studio Natrufied Architecture has embedded a solar-powered home into the coastal woods in the old artist town of Bergen, the Netherlands. 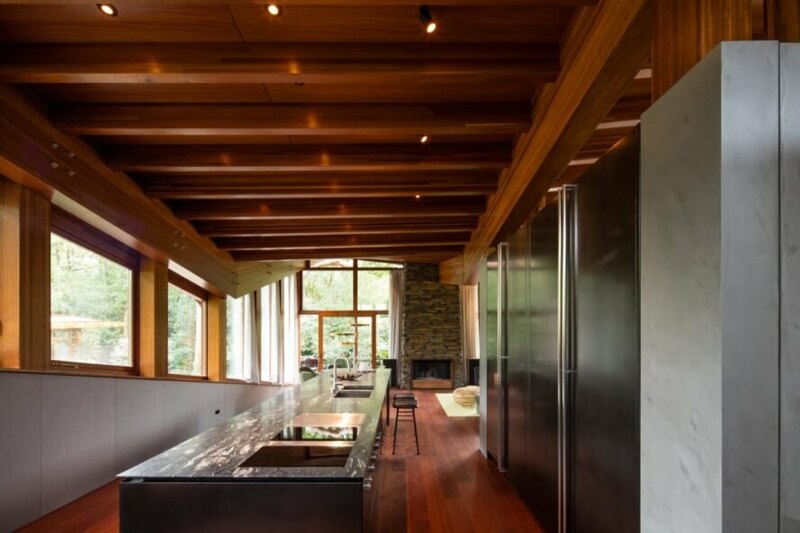 Dubbed Bosvilla, the 4,305-square-foot abode is built with a variety of timbers, inside and out, that combine with floor-to-ceiling triple glazing to create an environment that feels like an extension of the outdoors. For energy efficiency, the architects blanketed the building with a green roof, used highly insulated materials and installed 35 solar panels to offset energy demands. 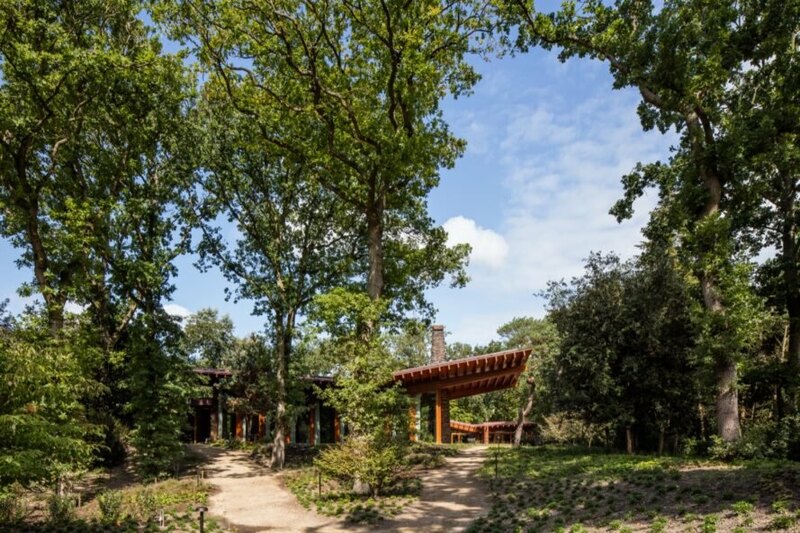 Bosvilla consists of the main house, a guest house, a carport and bicycle storage in separate buildings carefully laid out to capture forest and dune views. 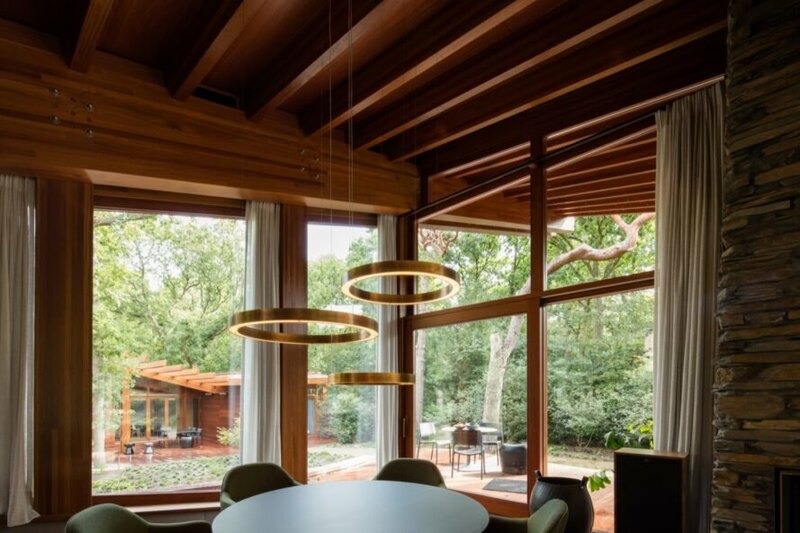 Nestled between oak and pine trees, the main house features an open floor plan as well as large revolving and sliding glass doors that create a seamless flow between the indoors and the outdoor terraces. 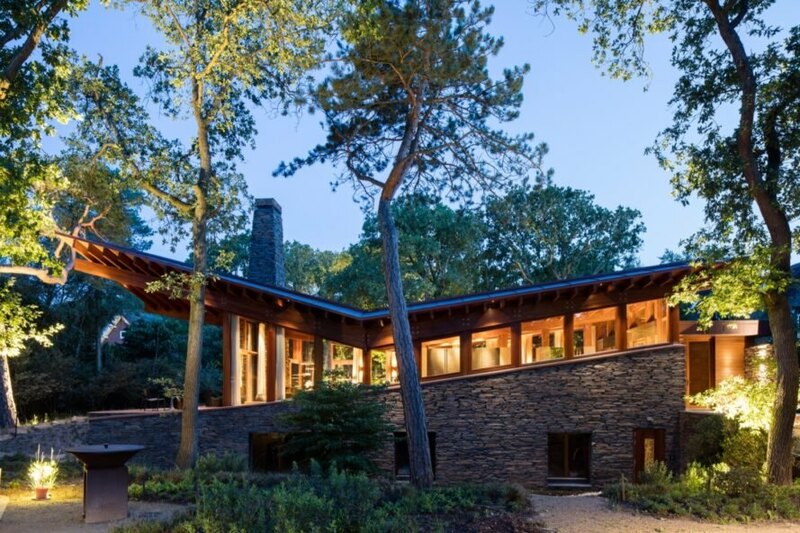 The cantilevered roof helps protect against unwanted solar heat gain while allowing copious amounts of natural light and nature views into the interior. 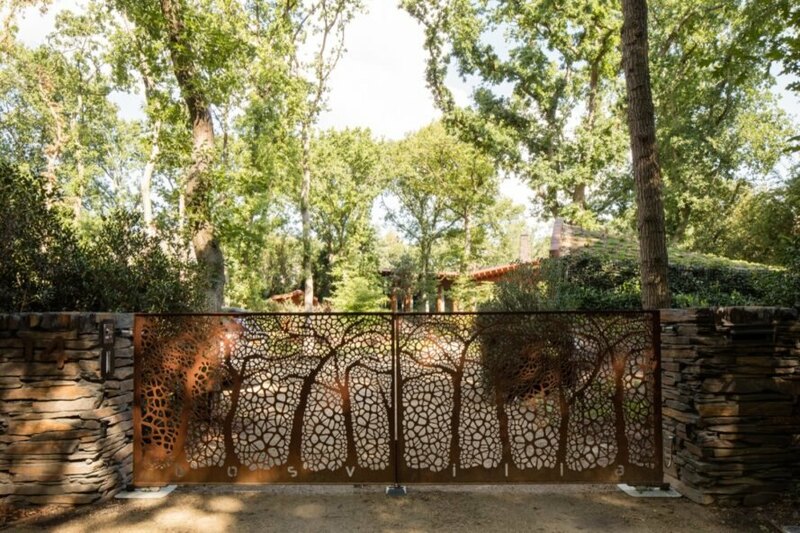 Responsibly sourced natural materials used throughout the home tie the architecture to the landscape, from the variety of woods to the Belgian flagstones. 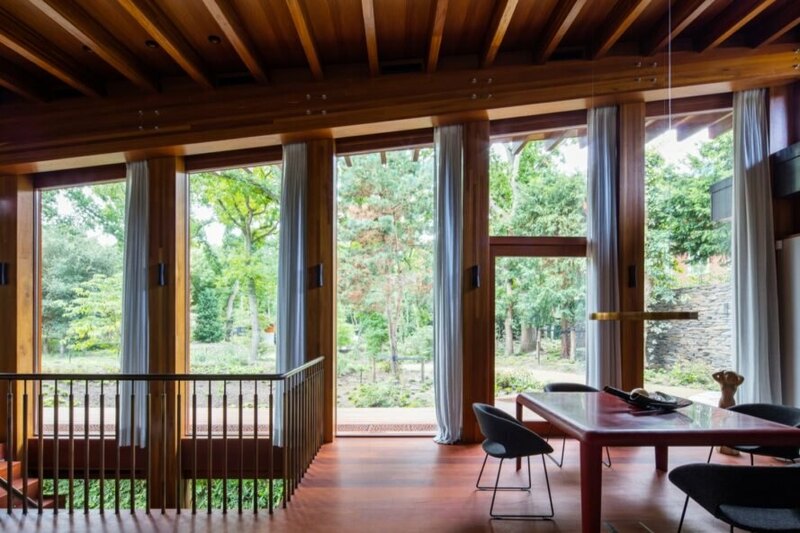 The columns and beams are built from laminated Forest Stewardship Council (FSC)-certified iroko, while the substructure is made of local pine and the windows and doorframes are built of FSC-certified Jatoba. FSC-certified Afromosia was selected for the ceiling and bamboo for the interior sliding doors, bedroom floor and doorframes. FSC-certified Afzella make up the stairs, ground floor and terraces. FSC-certified Cumaru wood clads the facade. The home is located in the artistic Dutch town of Bergen. The property features a home, guest home, carport and bike storage. The main house is nestled between oak and pine trees. 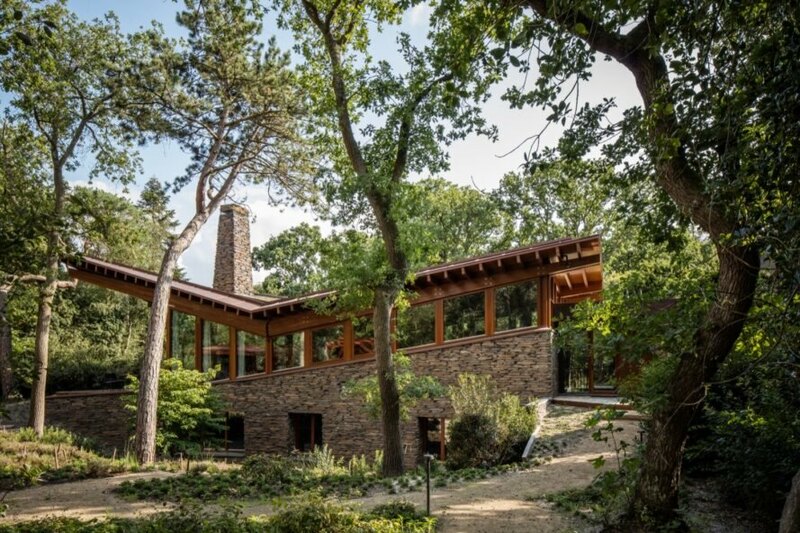 The home's additions are all aligned in accordance to the heights of surrounding trees. 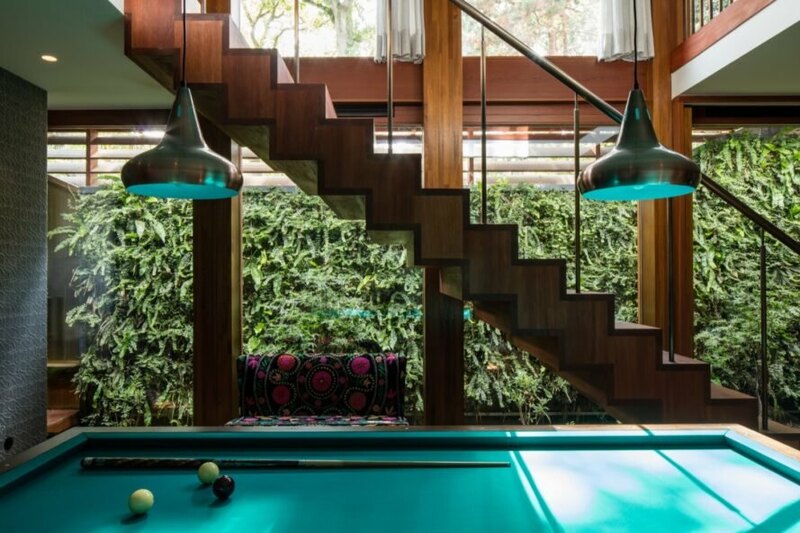 The home also has outdoor patios and a large cantilevered sun roof. There are revolving doors that provide access to the outside terraces. 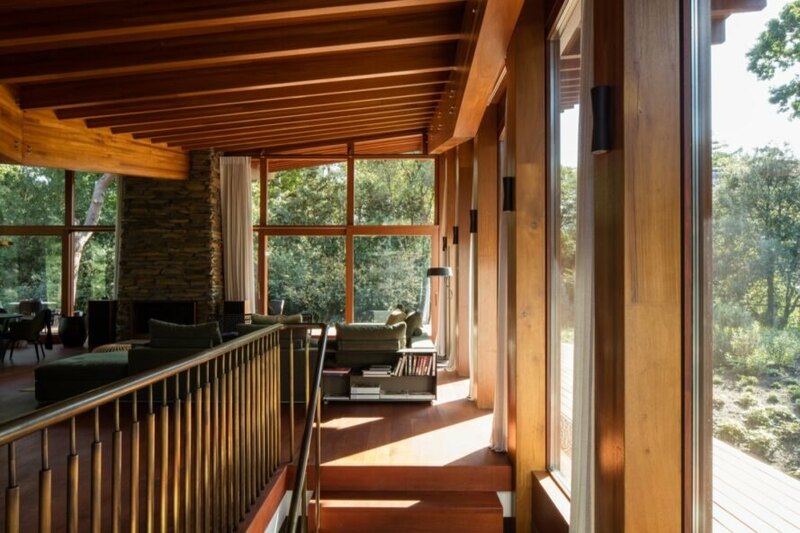 Large windows allow the home to be filled with natural light. The guesthouse is located in the back of the property. Nature views are able to be enjoyed throughout the home and guesthouse. 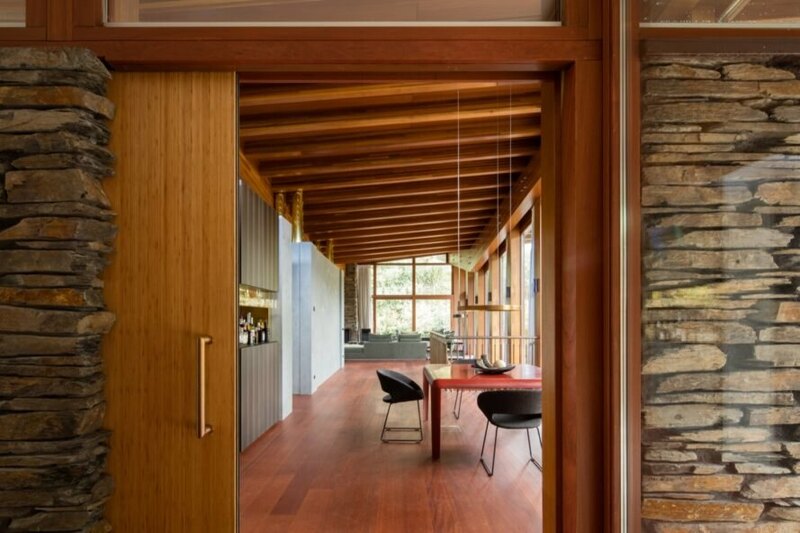 The home's main structure is made from various wood types. 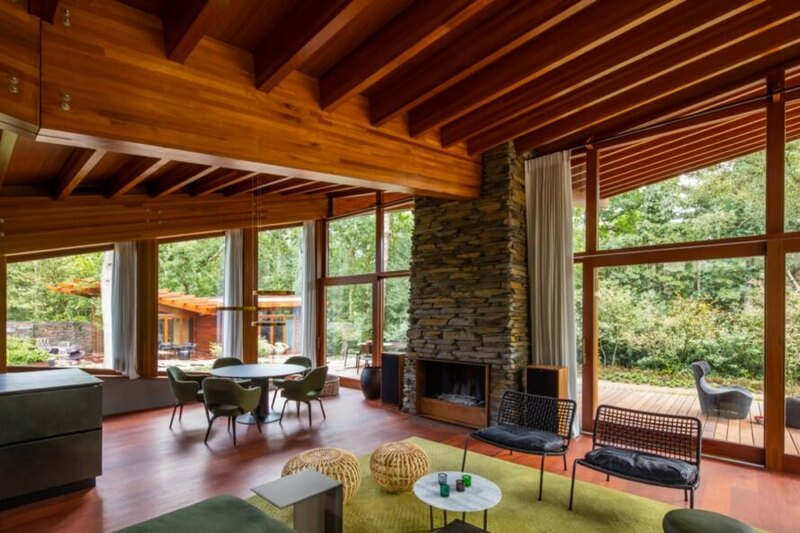 The collection of different woods gives the home is distinct color. Natural tones fill the living area. The home is comprised of CO2 absorbing materials.